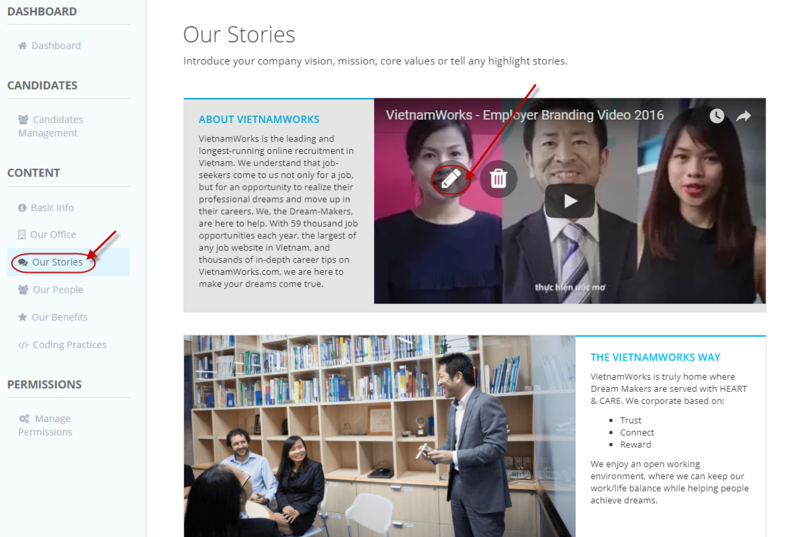 Click “Our Stories” to add your company vision, mission, core values or tell any highlight stories. 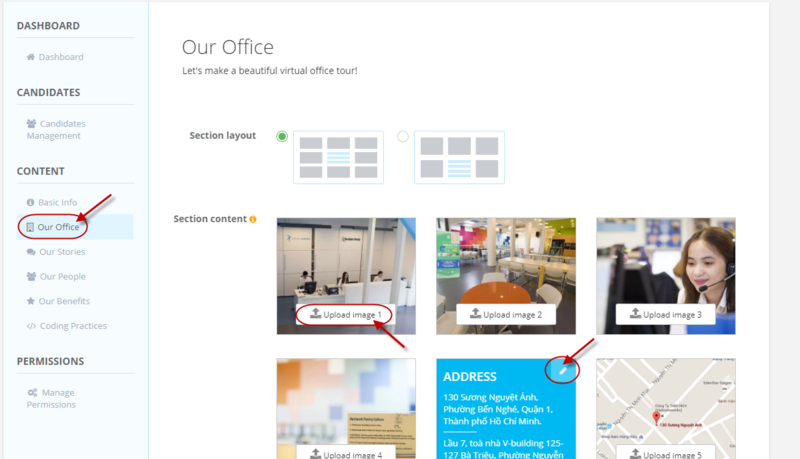 After inputting all the content and choose the preferable layout, Click “Add Story” to save your company’s story. Click “Our People” to share words from your company top management board. 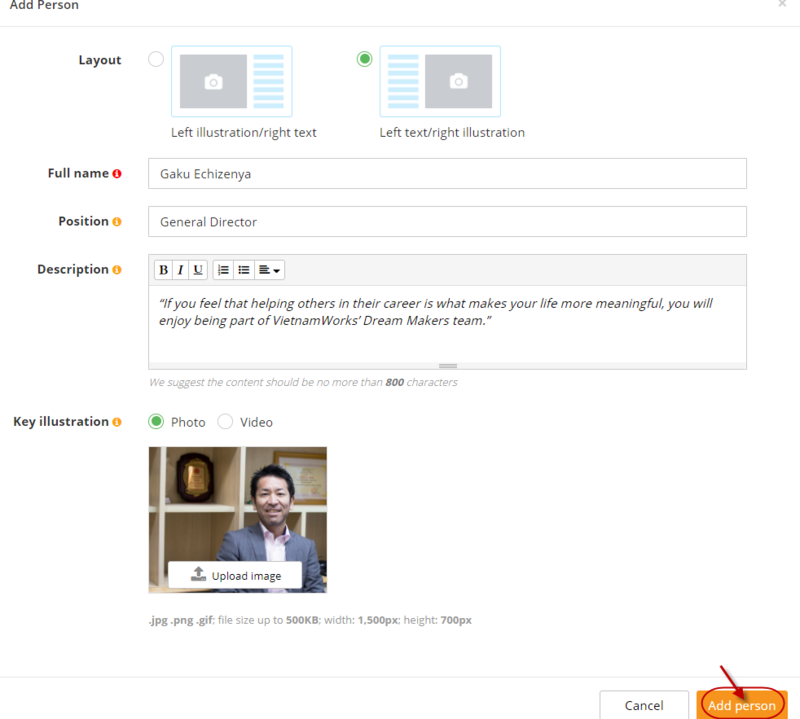 After inputting all the content and choose the preferable layout, Click “Add People” to save your employees’ story. 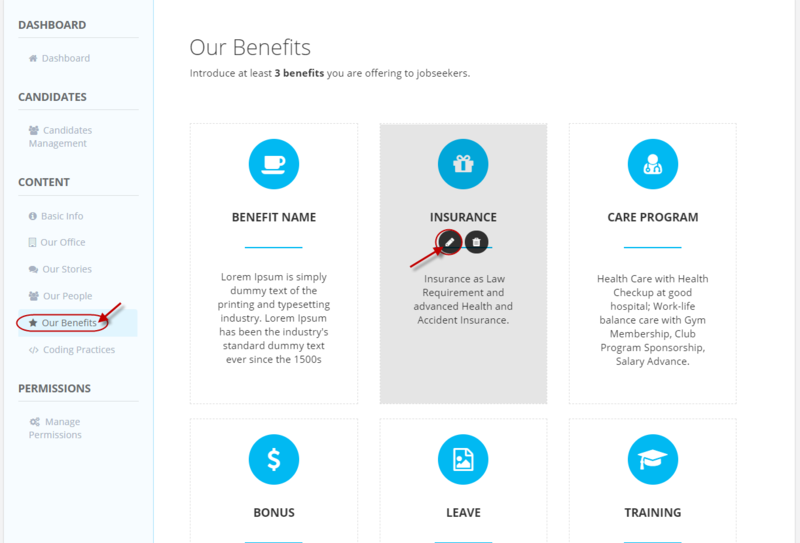 At this stage, you can choose the benefit type, name, and some information to attract job seekers. 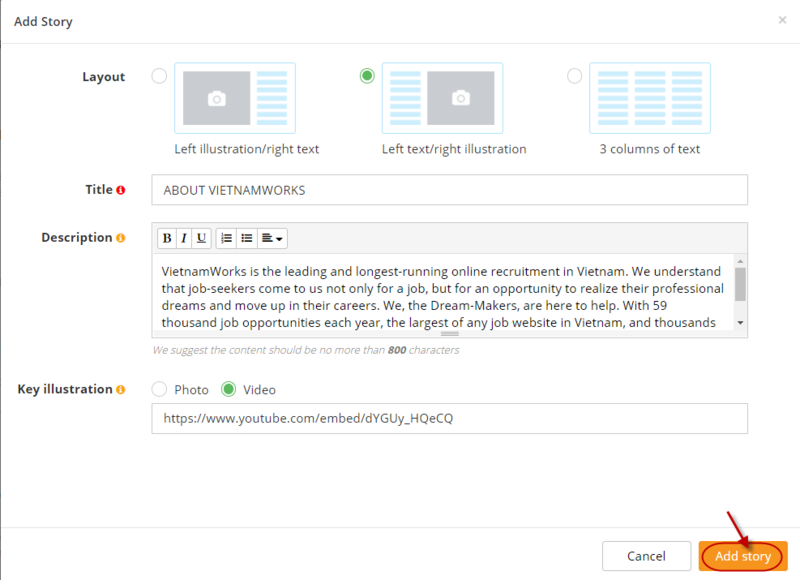 Click “Add Benefit” when everything is done. “Coding Practices” is only use for company that in IT – Software industry. 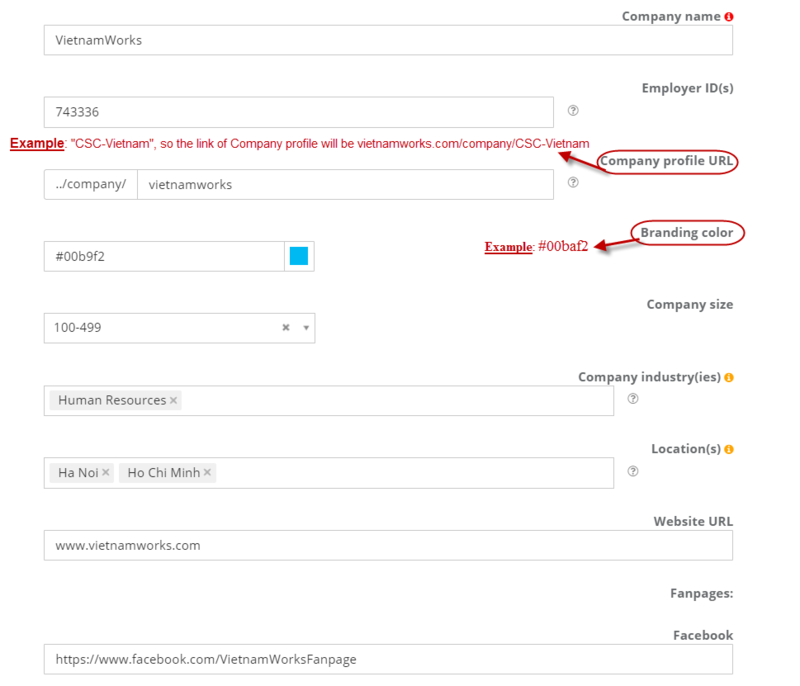 If your company are not in IT – Software industry, you can simply skip this step. 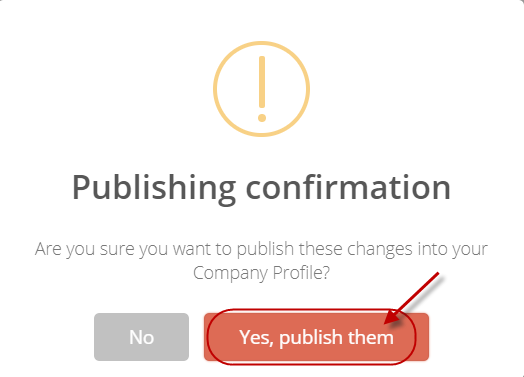 Click “Yes, publish them” to publish any changes you have made.